As we mentioned in a previous post that featured a question from one of our swimming pool maintenance customers, many people in the Goodyear area wish they could keep their pool open despite the cold weather that arrives late in the year. 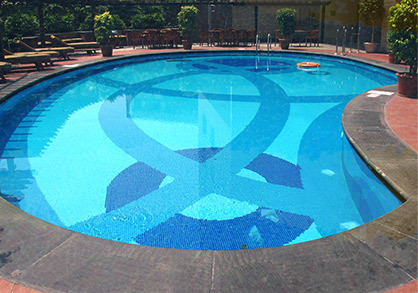 Although we don’t advise leaving your outdoor pool open all year long, there are certain features that can be added to your swimming pool area to greatly extend your swimming season. These ingenious devices are fairly affordable and help to turn the sun’s energy into free warmth for your pool’s water. With a solar pool cover on your pool, it’s highly likely that the water can be kept warm enough for swimming well into late fall. Once the sun is no longer powerful enough to do the trick, you’ll likely want to use a swimming pool heater. Much like a space heater works inside your home, a swimming pool heater increases the temperature of the water so that it can be used even if the ambient temperature is quite cool. Despite the claims of many swimming pool heater manufacturers, it may not be able to ensure that you can use the pool in the dead of winter, however. 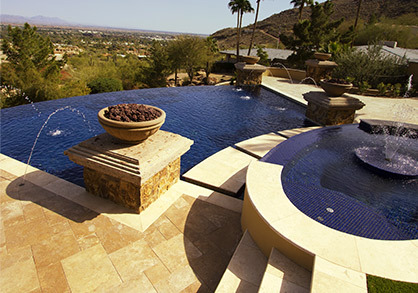 The only way to truly be able to use your outdoor pool all year long is to turn it into an indoor pool! This isn’t quite as difficult as it may seem, as there are many options for pool enclosures that are more affordable than building an addition onto your home. 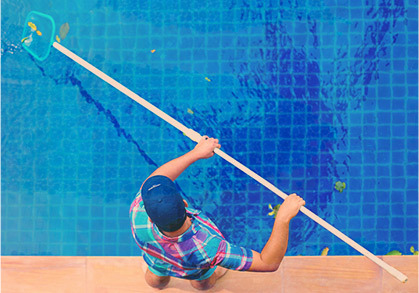 Whether you winterize your pool every year or employ a swimming pool heater to extend your season, make sure to call Universal Pool Service in Goodyear for swimming pool maintenance!